Executive Insight is one of Metro EDGE’s most popular networking events of the year, but it’s not just any networking event. It’s a valuable opportunity to connect with some of the top executives in the Sacramento region. At this event, you will make new professional connections and gain great advice from CEOs, presidents, and founders on how to take your career to the next level. All the networking: Whether you’re job searching or just want to learn more about your field, networking is key to accomplishing your professional goals. At Executive Insight, it’ll be nearly impossible not to grow your network by the end of the night! You’ll not only meet some of the top executives in the region, you’ll meet fellow young professionals, too. Wisdom: At Executive Insight, you’ll get inside the minds of region leaders and learn all their best tips on mentor relationships, work/life balance, community involvement, and everything else they wish they’d known as they embarked on their careers. Business opportunities: Strategic alliances, joint ventures, quality recruiting, and referrals are only a few of the advantages that come from a new business relationship and those relationships begin at networking events. Networking events are also a great way to find professionals that are looking for new opportunities and can help you make your business run smoother. Executive Insight is the perfect networking event to learn from business experts who are eager to share their knowledge. Increased visibility: If you want to establish long lasting business relationships, first you need to establish yourself as a networking professional that others would absolutely want to have in their network. Since Executive Insight is attended by some of the top executives and young professionals in the region, it’s the perfect event to see and be seen. 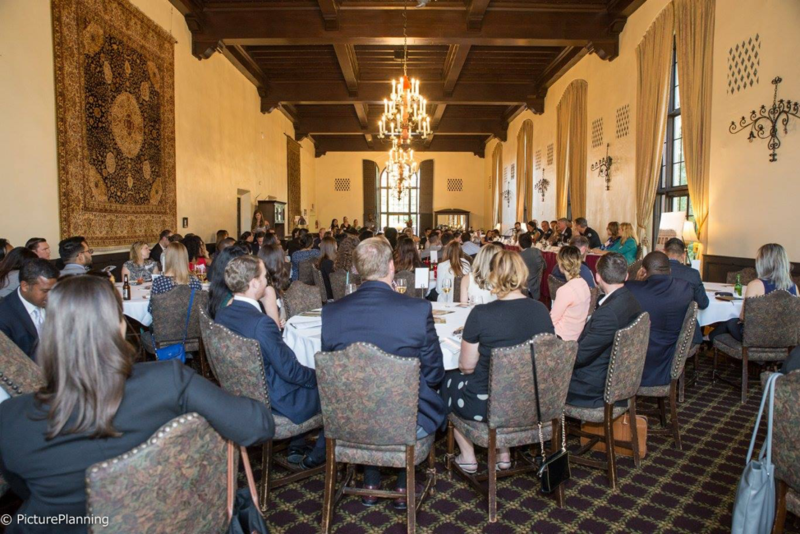 Professional growth: After hearing from 12 of the capital region’s top executives, you’re bound to leave the evening inspired and motivated to take your career to the next level.